Longest-running tourney in USA set for Saturday at Smith Park. Ohio’s own Logan Broadbent, a standout for world champion Team USA, will be among the pros in action at Saturday’s 38th annual Free Throwers Boomerang Tournament at Smith Park in Delaware. 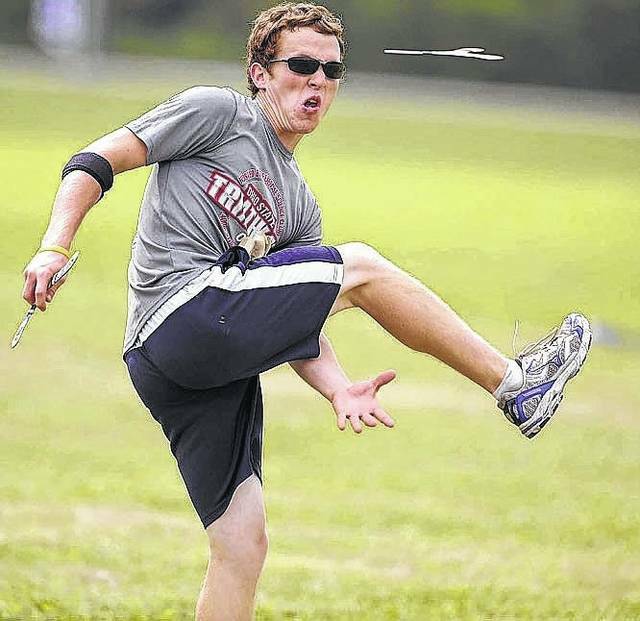 The 38th annual Free Throwers Boomerang Tournament, the longest running boomerang tournament in the United States, returns to Delaware Saturday at Smith Park. The action is slated to last pretty much all day, starting at 9 a.m. and wrapping up around 7 p.m. Spectator guides will be on hand to explain the events and the boomerang pros they’ll see on the field. One such pro, Delaware native Chet Snouffer, founded the Free Throwers back in 1980. He’s a three-time World Champion and 12-time US National Champion. Others set to compete include at least five members of current world champion Team USA, led by Ohio’s own Logan Broadbent. Broadbent, also known as “The Boomerang Ninja”, is a top international competitor and was recently a featured contestant on American Ninja Warrior. The event will feature tests of accuracy, distance, speed, maximum time in the air and catching. Boomerangs come in traditional two, as well as three, four, five and occasionally six-bladed variations. World records include a throw of over 250 meters out and back with a complete return, and a 17-minute flight set in 1993 at Delaware’s own Mingo Park. Everyone in attendance will be invited to learn. Even those who have never thrown a boomerang will be able to learn from the pros right on the field. They’ll also be able to compete in two contests with over 50 prizes donated by boomerang manufacturers across the USA. Instructional sessions are set to start around 11 a.m. with the two contests held immediately after at about Noon. Team USA members will be available to sign autographs and boomerangs will be for sale on site as well. Contact Snouffer, the tournament director, at 740-363-7552 for more information.